Product prices and availability are accurate as of 2019-04-18 23:03:59 EDT and are subject to change. Any price and availability information displayed on http://www.amazon.com/ at the time of purchase will apply to the purchase of this product. And the sky's the limit in this top-notch collection of simulators that authentically depict a vast variety of real world situations, physics, and events. Enjoy the fun, freedom and adventure - feeling the power at your fingertips as you control all the machinery and master all the tasks. Join the community of enthusiasts in the ever-expanding world of simulation, as you expand your handiwork by adding new vehicles, equipment, and scenarios. Complete all the thrilling missions and unlock challenging new levels - or enjoy electrifying unlimited play in freestyle mode. The choices are yours with this encompassing series of sim-experiences for the entire family. 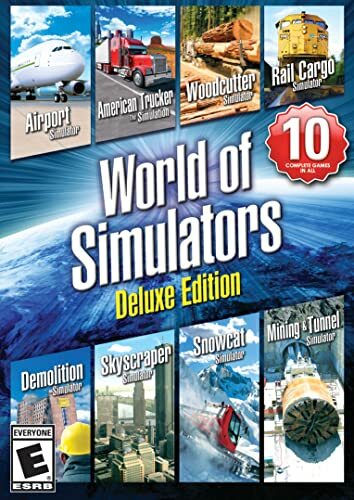 Includes Woodcutter Simulator, American Trucker, Airport Simulator, Skyscraper Simulator, Demolition Simulator, Rail Cargo Simulator, Snowcat Simulator, Mining & Tunneling Simulator, Bus Simulator, and more! THE WORLD IS YOURS! 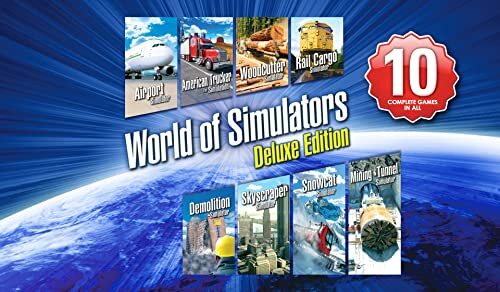 And the sky's the limit in this top-notch collection of 10 COMPLETE SIMULATION GAMES for one incredible price. Take control as you operate authentic equipment from real manufacturers across realistically detailed scenarios Feel the power at your fingertips as you control all the machinery and master all the tasks. 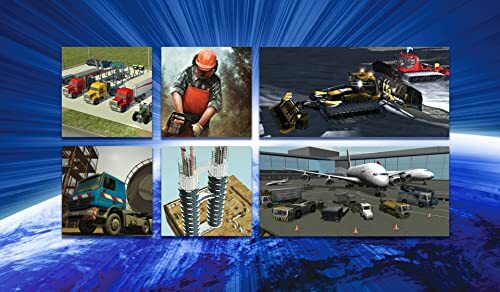 Customize and personalize your vehicles and machinery and compete in multiplayer and single player modes Includes Woodcutter Simulator, American Trucker, Airport Simulator, Skyscraper Simulator, Demolition Simulator, Rail Cargo Simulator, Snow cat Simulator, Mining & Tunneling Simulator, Bus Simulator, and more!